We are employee owned and customer focused. Our employee owners strive to exceed customer, employee and community expectations. We provide exceptional value with absolute integrity. Our mission is to grow our people and to have fun doing it. We’re thrilled you’re considering our Chevy dealership near Portsmouth, NH, for your automotive needs. Dover Chevrolet is part of the International Cars, Ltd., a family of dealerships, which means that we value ownership, accountability and the importance of high-level service and customer satisfaction above all else. That is why our motto has long been, “Employee Owned. Customer Focused.” As part of an employee-owned company, our sales team, managers and service staff are not just working for the company — they are the company! This means that each member of our staff brings a higher level of dedicated interest to their performance, helping to create an exceptional customer experience for everyone who walks onto our lot. Whether you come to us for a new vehicle, a pre-owned one or to visit our exceptional service center, we’re confident you’ll enjoy your time here. Find the perfect new Chevrolet with which to spice up your daily drives, or bring your current car in and have us get it back to ship shape. And of course, our experienced and friendly finance staff is here to assist purchasers in taking their prized vehicles home from our lot in a manner they can afford. From start to finish, we have you covered here at our Chevy dealership near Kennebunk, ME! 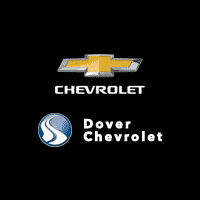 Dover Chevrolet is located at 5 Dover Point Road in Dover, NH, just off the Spaulding Turnpike and not far from I-95. We hope you visit us in person soon! Dover Chevrolet is proud to be part of the International Cars, Ltd. family. International Cars, Ltd. (ICL) is an employee-owned company comprised of six New England area dealerships. The New Hampshire locations include Dover Honda, Dover Chevrolet, Porsche of Stratham and Audi Stratham. Honda North is located in Danvers, Massachusetts. The International Cars’ team, company-wide, is one that values ownership, accountability, and the importance of high-level service and customer satisfaction. Our employees Virginia and Megan (complete with ears!) attended the Disney Institute seminar, “Leading a Service Culture”. GM has partnered with Disney to teach car dealerships how to boost customer satisfaction. International Cars is headquartered at Honda North in Danvers, MA and are the recipient of several industry awards, including the 2007 Governor’s Highway Safety Association Peter K. O’Rourke Special Achievement Award and the Time Magazine 2006 Quality Dealer Award. International Cars have also earned several AACE (Annual Award for Communications Excellence) Awards through The National ESOP (Employee Stock Ownership Plan) Association. The Employee Owners of International Cars, Ltd. take great pride in supporting charitable based initiatives that directly impact their local communities. This type of involvement is an integral part of the success of employee ownership. Let us introduce you to our staff, show you some of our special vehicle offers, and take you through our complete line of new and used inventory. We can help you find exactly what you are looking for.